As a pioneer in the mobile media space, ESPN has long seen the value of reaching fans on-the-go with sports scores, video highlights and specialized apps to feed their passion. But rather than view mobile as the oft-described “third screen,” the sports media powerhouse refers to it as the “first screen,” according to Michael Bayle, VP and general manager of ESPN Mobile. In a keynote talk Thursday at MediaPost’s Mobile Insider Summit, Bayle explained that instead of determining how to shoehorn its programming from traditional media to mobile platforms, the process is now reversed, with mobile becoming the starting point. “What’s taking preference now is to try to get as ubiquitous as possible. Program and design from the mobile standpoint first, then extrapolate what could be applied for the PC, television and print experience,” he said. Driving that heightened emphasis on mobile is that it represents ESPN’s fastest-growing audience. Bayle pointed out that its mobile audience across its mobile properties has surpassed 20 million, with users spending 45% more time with ESPN mobile content in 2011 than the prior year. ESPN Mobile now ranks as the company’s fourth-largest network and it has 150,000 people plugged into its mobile offerings at any given time. “Particularly from an international standpoint, [mobile] is the primary way we reach an audience,” said Bayle, adding that ESPN Mobile has grown into a full-service content and commerce provider. But more isn’t always necessarily better. One of Bayle’s initiatives since joining ESPN last fall has been to reduce its focus to a handful of apps from the scores of titles released in recent years. That means the strongest focus on apps would be dedicated to Sports Center, collegiate sports, sports fantasy leagues, ESPN the Magazine and international sports like soccer and cricket. He noted that apps overall still account for the vast majority of the company’s mobile usage, although the embrace of HTML5 programming should swing the balance back in favor of the mobile Web in the coming years. ESPN’s mobile strategy is seen in terms of “bridges,” connecting people to its broader digital offerings, TV and mobile commerce. Mobile is the gateway to other screens and media formats. It also embraces social properties, like Twitter and Facebook, to distribute content more widely and allow fans to connect around live sporting events and hometown teams. When it comes to TV, part of the goal is to capitalize on two-screen viewing and the gradual shift toward interactive television. As an example, Bayle pointed to a new partnership the network unveiled today with Shazam that allows Winter X Games viewers on ESPN to use the Shazam smartphone app to access video highlights, photos and even music from the event. Conversely, ESPN also wants to leverage mobile to encourage television viewing through news updates and alerts about live events that might prompt people to reach for the remote. In the same vein, ESPN increasingly wants to infuse mobile content with transactional opportunities. Through a deal with StubHub, it allows fans to buy event tickets as they’re browsing upcoming schedules or information about their teams. 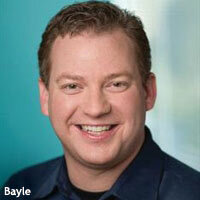 It’s all about encouraging an impulse buy while people have mobile phones in hand, says Bayle. He sees m-commerce, in fact, as potentially the biggest draw for marketers. Bayle says it's "the catalyst that finally breaks through the 'why do I invest in mobile,' which many agencies are scratching their heads about." Given its focus on cross-platform programming, ESPN also takes an integrated approach on the ad side. Sponsorships are typically sold across digital, print, television, mobile. For an advertiser that can't afford a TV buy, Bayle says, mobile may be a way to reach ESPN’s male-skewing audience at lower cost. 1 comment about "ESPN Deems Mobile 'First Screen'". anthony kosner from Wing and Ko., January 30, 2012 at 12:44 p.m.